Apparently, everybody doesn't believe that one flagship per year is enough! The recently released P9 is the king of Huawei smartphones right now, but it is about to be dethroned as Huawei plans to release the Mate 9 by the end of 2016. Phone Arena adds that a late 2016 release is an educated guess because the Mate 8 was indeed revealed towards the end of 2015. The rumored Kirin 960 SoC will power the device, placing it above the P9, which sports the Kirin 955 chipset. Expectations from the camera department are very high as the rumored 20-megapixel dual sensors at the back will presumably be designed by Leica, who had helped Huawei earlier to build the P9's camera setup as well. 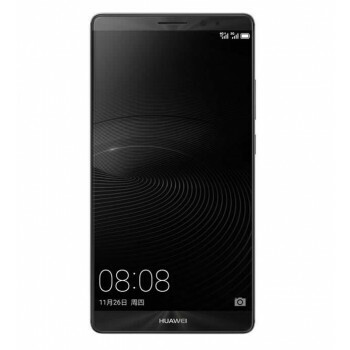 Huawei has never exactly skimped out on power when it comes to the Chinese manufacturer's top-tier handsets, so we expect the Mate 9 to be packed to the gill with the latest hardware. At this point though, it is too early to predict other specifications of the device because even the prototypes are probably not ready yet. Nonetheless, we expect at least 4GB of RAM (if not 6GB) to accompany the Kirin 960, along with a powerful battery, a large display and a next-gen fingerprint sensor.